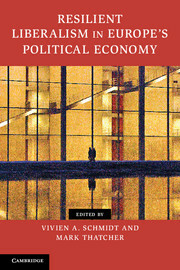 According to Vivien Schmidt, the Jean Monnet professor of European integration at Boston University, the major shift away from a French-led Europe came in the 1990s, when the European single market embraced a host of neoliberal economic polices, including the deregulation of telecommunications and, later, of electricity, both opposed by France. The Rise of the Fringe: A Threat to Democracy? “Euro-skepticism has been increasing more generally across Europe, along with disenchantment with national political elites,” explains Boston University professor Vivien Schmidt, who is also the founding director of BU’s Center for the Study of Europe. The Eurozone crisis, the refugee crisis, and the security crisis (that is the heightened threat of terrorist attacks on the continent) all contribute to a loss of trust in mainstream parties and the “steady rise” of populist parties across Europe, says Schmidt. Posted on July 13, 2016 July 13, 2016 Author vschmidtCategories CommentsLeave a comment on The Rise of the Fringe: A Threat to Democracy? Democracy in Europe is in a parlous state at the moment. The British vote for exit (Brexit) from the European Union (EU) has highlighted deep-seated problems with democracy at both the EU and national levels. But it would be a mistake to think that this means the EU is undemocratic, or that Brexit spells the break-up of the EU. Rather, it shows that in the EU, even more so than in the U.S., politics has become increasingly volatile as citizens punish political elites for gridlocked governing processes and policies that don’t work. The Brexit referendum was dominated by a populist campaign focused on immigration in order to “take back control” from the EU, which was depicted as an over-regulated, undemocratic superstate. The same kinds of complaints voiced about the EU in the Brexit campaign are mirrored in most European countries, by the likes of, for example, Marine Le Pen in France and Geert Wilders in the Netherlands, who have also called for referenda on the EU. Euro-skepticism has been increasing more generally across Europe, along with disenchantment with national political elites. This is evidenced by the loss of trust in mainstream parties, the steady rise of populist parties on both the extreme-left and the extreme-right, and the rapid turnover of incumbent governments. The EU’s other crises have also played their part, including the Eurozone crisis, the refugee crisis, and the security crisis. The EU’s poor management of all of these crises has been another reason why dissatisfied citizens across Europe, not just the British, may be asking why they should belong to such a Union.